When To Introduce Kiwi To A Baby? When To Avoid Offering Kiwis For Baby? How To Choose And Store Kiwis For Babies? You are in confusion once your baby crosses the six-month mark. It is the time for him to start some solid foods and you have so many choices out there that you do not know what to take and what to leave. There are fruits, vegetables, cereals and of course his staple breast milk. Therefore, it is wise to choose your baby’s diet after doing a bit of research on the nutrient values and usefulness of some prominent foods. Here, MomJunction tells you the goodness of kiwi for babies and if its acidic nature will have any effect on them. It is better to introduce kiwis when the baby is between eight and ten months because of its acidic nature. If your baby has shown any food allergies or diaper rashes earlier, consider introducing the fruit between 10 and 12 months. In case your family has a history of kiwi food allergy (1), seek doctor’s advice before introducing your baby to kiwi. 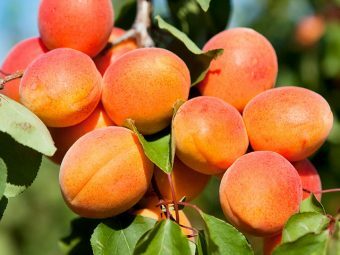 Even though its acidic nature prompts mouth rashes or bottom rashes, the fruit is generally not a high allergy risk. In fact, kiwi fruits are highly nutritious for your baby. Kiwis are rich in Vitamin C, Vitamin A, potassium, fiber, folate, and antioxidants. One serving of kiwi fruit for babies offers 230% of recommended amount of Vitamin C per day, which helps in boosting the immune system., increasing iron absorption from other foods, and healing wounds. Kiwi provides relief from constipation and is rich in disease-fighting antioxidants. It offers 16% of the RDA for fiber. The fruit is rich in phytonutrients, which repair DNA, and protect against few cancers. Kiwi is believed to prevent asthma, lower fat in the blood, and reduce blood clot risk in later stages of life. Kiwi provides 10% of the RDA for folic acid and 10% RDA for Vitamin E.
The fruit is also a source of calcium, iron, chromium, copper, potassium, magnesium, and zinc (2). Refrain from offering kiwi to the baby if he shows allergic reactions to papaya, latex, sesame seeds, and pineapple as the allergic reactions to these foods tend to be linked with kiwi too. Allergy to kiwi is also commonly seen in people with hay fever (allergic rhinitis). 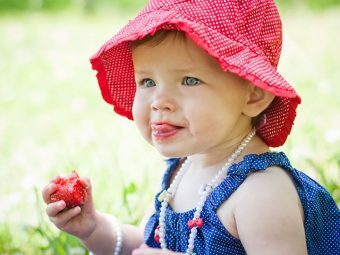 Few fruits like kiwi, orange, raspberry, and strawberry may irritate the skin around your baby’s mouth when she eats it. This is common when she has eczema, but it is not harmful (3). Symptoms indicating allergy towards kiwi include the sore mouth, swelling of the lips, tongue, face, or vomiting. Severe reactions include breathing difficulties and wheezing. Symptoms may appear around two hours after eating the culprit food. To check the way the baby reacts to kiwi, do introduce any new food in the previous meal and do not mix it with some other new food. Feed only little amounts first. Go ahead only if the baby is not showing any related allergies. 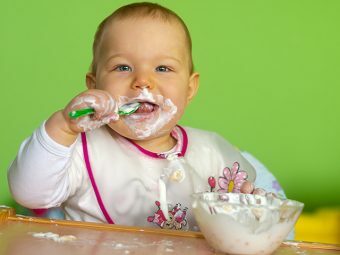 Do remember that it is best to consult your doctor before introducing any new food to your baby. Picking organic kiwi is always good. However, kiwi is not among those fruits, which get contaminated due to pesticides. Do not select the ones with bruised skin, have visible indentations, are squisher-softer, or have damp spots. Pick a firm one and wait until they turn soft. To select the kiwifruit with sweetest taste, hold it between your thumb and forefinger and check if it yields to gentle pressure. Place an unripe kiwi in a paper bag with a banana or apple or pear to ripen the fruit within two days. Kiwis can be stored for three to four weeks in a refrigerator or a week on the counter. Blend or puree it in a blender. 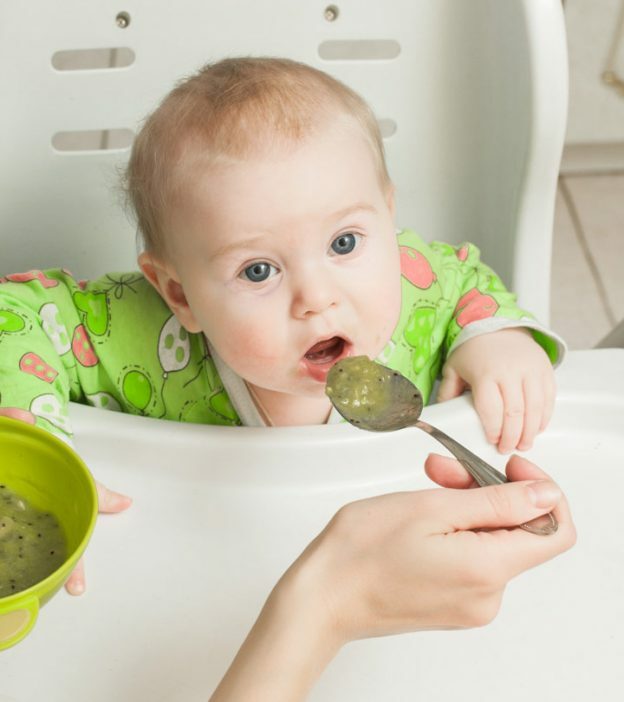 Kiwifruit can be slightly acidic, so trying it in combination with pureed banana is a good idea to feed it to your baby for the first time. This will help in developing the taste, and your child would want to have more of it. You may also try kiwi puree combinations with apple or pear puree. Your baby would love the combination of apple, kiwi, and pear. Peel and chop the fruits. 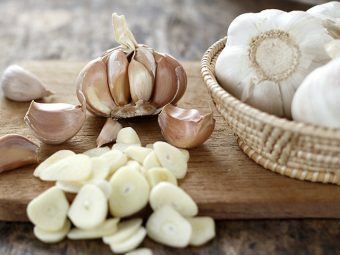 Blend or puree them in a blender. Toss all the fruits in a bowl and add your favorite coatings like wheat germ or crushed cereal. You could also blend them all together in the processor to make it into a puree and add yogurt on top. Peel and slice the kiwi. Peel and pit the avocado. Mix all the ingredients and blend them together. Mix the ingredients together, puree the mixture, or mash thoroughly. Mash all ingredients together and serve a sweet, nutritious tropical treat! Mix the ingredients in a medium pot. Place the pot on low flame for 10 to 15 minutes until kiwi turns soft. After removing from heat, puree or mash it. Puree kiwi in a blender until the green flesh is pureed and black seeds are intact. Add apple juice to the mixture and mix well. Fill the popsicle molds and place them in the freezer. * This recipe is a great way to beat the heat during warmer months. 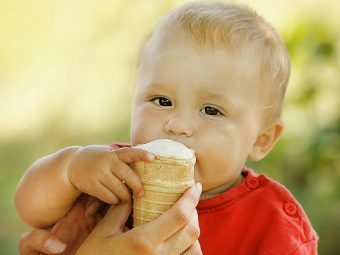 The tasty treat and the cold popsicle greatly helps soothe inflamed gums of your teething baby. Mix all the ingredients and blend them well. Mix water and apple juice in a pan and boil. Add kiwi and oats to a pan, stir well. Boil once again and reduce the flame. Cook until it thickens or cook for ten minutes. Q. Do we always have to peel kiwis before serving it to babies? A. Do not serve kiwi with skin to babies as they can find it difficult to chew the skin and could choke on it. Slice off each end and remove the skin lengthwise. Or you may just cut the fruit in half and serve the inner part of the fruit to the baby with a spoon. Q. Can a baby eat kiwi seeds? A. It is not necessary to remove the seeds from the kiwi while feeding them to a baby, as the seeds are tiny and do not pose a choking hazard. But this largely depends on the baby’s ability to tolerate varied textures. So, if your baby is not good at it, consider removing them. Q. Can we freeze kiwi puree? A. It is not recommended to freeze kiwi fruit. Kiwi puree may be frozen (4), but it may be gritty/watery when thawed.